EDINBURG— In another first for the University of Texas Rio Grande Valley, the chess team returned home with a national championship this weekend after winning first place in the 2018 President’s Cup. UTRGV students Vladimir Belous, Kamil Dragun, Andrey Stukopin, Carlos Antonio Hevia Alejano and Hovhannes Gabuzyan beat five-time champion Webster University, 7.5 to 7, at the Marshall Chess Club in New York City. 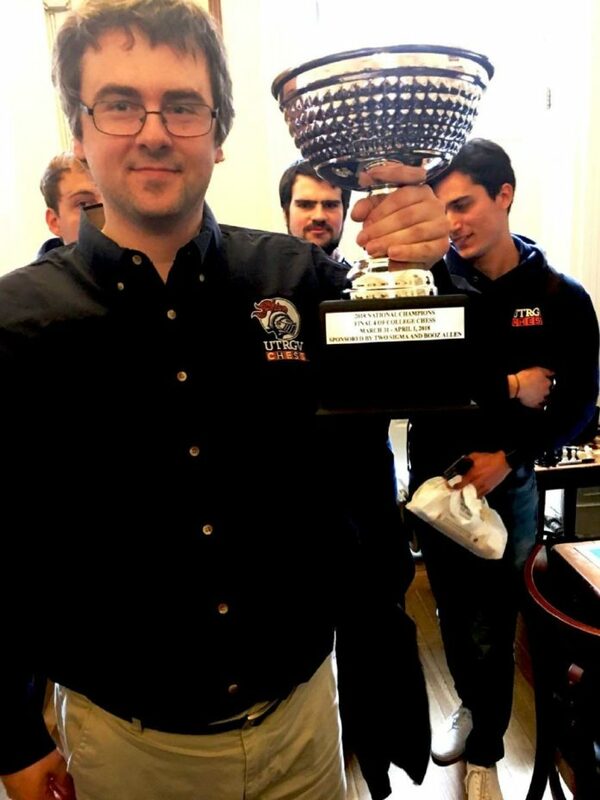 The President’s Cup is an annual competition in which the four U.S. schools to finish on top at the Pan-American Intercollegiate Team Chess Championship are invited to participate. The competition is decided on overall game points, meaning each of the teams’ wins or draws affect the end score. Macieja also said the team felt confident heading into this year’s tournament after participating for the first time in 2016 and losing to Webster, 8.5 to 7.5. His team held a half-point lead over Webster at the end of the first round, he said, but the five-year champions turned it around in the second round coming out half a point ahead of UTRGV. However, to the surprise of many, UTRGV took the win after the final match between Webster and St. Louis universities ended in a draw.